Come hear how economics as taught in the LSE classroom shaped his approach as a policymaker at the Federal Reserve. And learn how what is taught in the classroom translates into practical economic analysis and policy decisions. RSVP: Space is limited; Reservations required. Free for AFLSE Members/$10 non-members. This event is sold out. 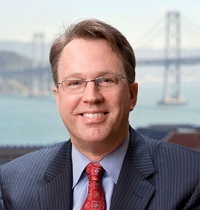 John Williams took office as President and CEO, Federal Reserve Bank of San Francisco on March 1, 2011. In this role, he serves on the Federal Open Market Committee (FOMC), bringing the Fed’s Twelfth District’s perspective to monetary policy discussions in Washington.